3:16 PM: PG&E reports there are still about 17,000 customers in the North Bay without power this afternoon. Most of those customers are in Napa County and in the City of Napa, according to utility spokesman J.D. Guidi. That number is down from a high of 31,000 customers who lost power immediately after the earthquake. Guidi said that the utility expects to restore service to a majority of its customers throughout the day today, though Guidi did not give a specific hour of restoration. A few outages may require additional time to restore, he said, and PG&E will communicate with those customers directly about service restoration. About 20 earthquake-related gas-distribution outages have also been reported. Guidi said that PG&E has received several hundred calls complaining about gas odors. Crews are visiting the premises where each complaint originated, and investigating for any gas leaks, Guidi said. PG&E has also completed an initial patrol of its gas transmission pipeline and has not identified any damage to it. However, the utility is now performing a second patrol out of an abundance of caution. 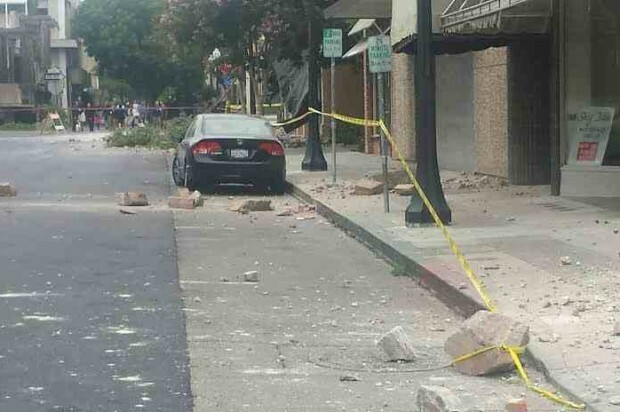 1:13 PM: PG&E reports that 21,000 customers in the North Bay are still without power this afternoon, following the 6.0-magnitude earthquake that struck southern Napa County earlier. 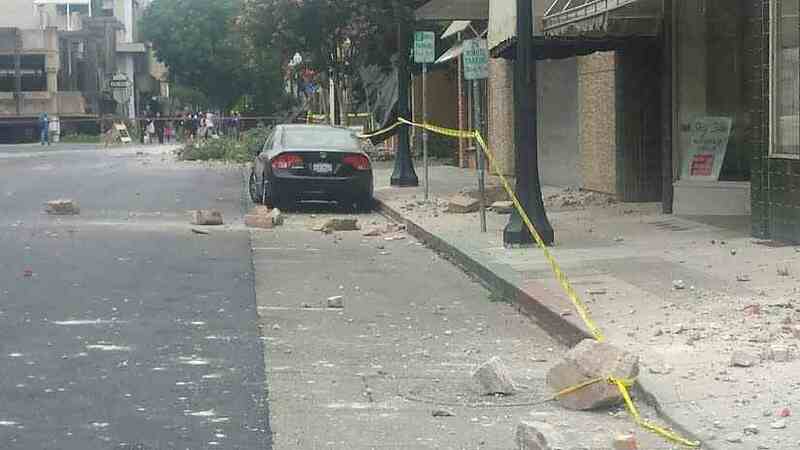 Survey officials to report up to 6.1 magnitude, but they have recently revised the estimate back down to 6.0. Initially, there were 31,000 customers in the North Bay and Sonoma region without power. Most of those customers were in Napa, and St. Helena was the second most impacted area, according to PG&E spokesman J.D. Guidi. The majority of those currently without power are still in Napa and St. Helena, Guidi said.